This month, in honor of the Tour de France, I'm taking a look at crime fiction that takes place in the beautiful country of France. This week, I'm spotlighting four authors who have created exceptional characters who are all members of the police force. 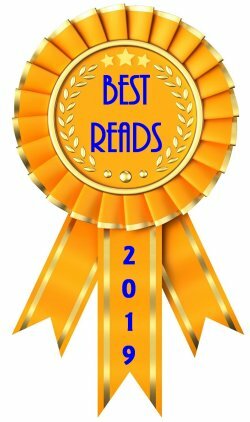 With any luck, I'll be taking a look at one of your personal favorites, but it's also my hope that this post can introduce you to books and authors that are new to you, and that you just have to read. I don't think any overview of French policemen would be complete without mentioning Georges Simenon's Inspector Maigret. From 1931 to 1972, Simenon wrote 77 Inspector Maigret books-- and that's only a small proportion of his literary output. He is, without doubt, one of the most prolific writers the world has ever seen. It should be no surprise that in 1966 he won the Grand Master Award from the Mystery Writers of America, and many films have been adapted from his books. Inspector Maigret and his wife, Madame Maigret, live in Paris, France. 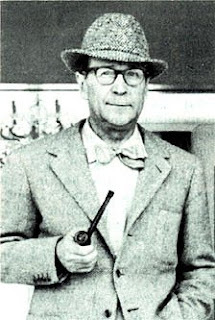 Three titles in the series include Maigret and the Death of a Harbor-Master (1932), Maigret's Rival (1944), and Maigret's Pipe (1947). 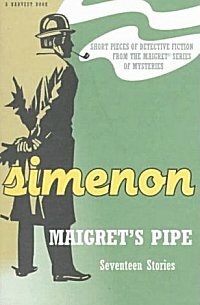 If you'd like to sample a bit of Simenon's Inspector Maigret, a good place to start might be with Maigret's Pipe, a collection of seventeen stories featuring the tireless inspector as he works on some baffling cases both from his base-- Paris police headquarters on the Quai des Ortevres-- and throughout the provinces. If you've only heard of Fred Vargas in passing, you might be surprised by the photo of her to the left. Doesn't look much like a Fred, does she? Fred Vargas is the pseudonym of the French historian, archaeologist, and writer Frédérique Audoin-Rouzeau. Her crime fiction novels have won three International Dagger Awards for three successive novels in 2006, 2008 and 2009. She is the first author to achieve such an honor. 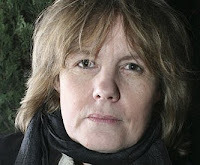 If you've read any of her books featuring the quirky Parisian commissioner of police Jean-Baptiste Adamsberg, you'll probably agree with the award givers. 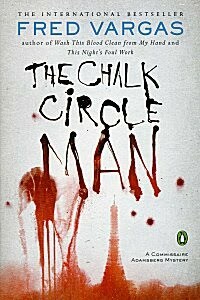 "Newly promoted from the provinces to a post in Paris, the Maigret-like Adamsberg—whose intuitive sleuthing combines the 'belief of a child and the philosophy of an old man'—quickly overcomes the doubts of his colleagues and homes in on the seemingly insignificant phenomenon of chalk circles being drawn at random points around the city, each circle enclosing a piece of urban detritus (a Coke can, a single shoe). Adamsberg senses that the circles will soon surround dead bodies, and so they do. 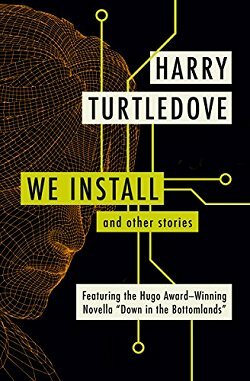 In addition to introducing her hero, Vargas also provides backstory on a host of other ongoing series characters, including the white-wine-swilling Inspector Danglard, whose logical mind is continually tested by his new boss’ belief in instinct. Later installments ramp up the contrast between Vargas’ comic touch and her dark themes, but as a stage-setter, this one is required reading...."
In the late 1970s, author Pierre Magnan introduced Commissaire Laviolette, a police detective in Provence, France, to the world. I've read the first book in the series, and I was charmed by Laviolette and his supporting cast of characters as well as the depiction of village life in Provence at that time. 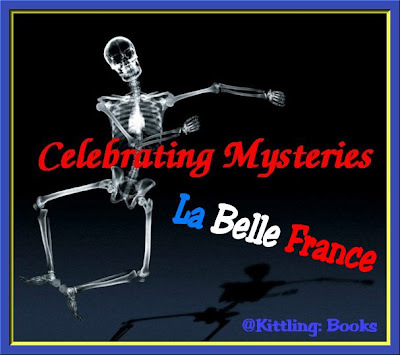 So far two of the Laviolette mysteries have been translated from the original French, and (once again) they have not been published in order for English speakers. Don't let that put you off sampling this author because you'll be missing something quite special. Death in the Truffle Wood (1978/2005) and The Messengers of Death (1986/2006). 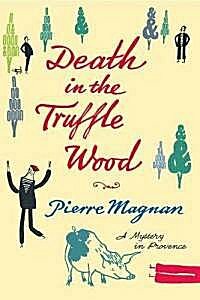 "First published in 1978, this delightful mystery from French crime writer Magnan brings to life the quirky, earthy peasant culture of the Provence region. One November evening, Roseline, an enormous, truffle-sniffing pig, escapes from her owner, Alyre Morelon, leading him into the woods, where an unseen figure injures the sow and then runs off. When Superintendent Laviolette arrives from Marseille to investigate the disappearance of five young people, Alyre demands his assistance in identifying Roseline's attacker. The overall humorous tone contrasts with a number of grisly incidents, including the discovery of a body in a freezer and a throat-slitting. The author treats village politics as well as the quarrels and liaisons of his marvelous characters with sly wit and compassion." Martin Walker's resume can boggle the mind. Senior Director of a Washington, DC think-tank; Editor of a global news agency; historian; journalist with Britain's The Guardian newspaper where he also served as bureau chief in Moscow and the US; regular broadcaster for the BBC-- and that's just a very brief summary. 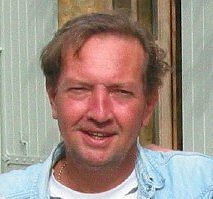 Walker has also created Chief of Police Benoit "Bruno" Courrèges, who lives in St. Denis in the Périgord region of southwestern France. There are four books in the series so far: Bruno, Chief of Police (2008), The Dark Vineyard (2009), Black Diamond (US, August 2011), and The Crowded Grave (UK, September 2011). 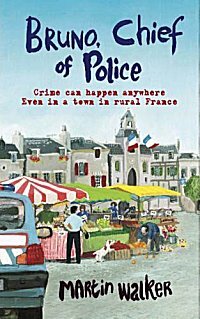 "Policing in Chief Bruno Courrèges's sun-dappled patch of Périgord involves protecting local fromages from E.U. hygiene inspectors, orchestrating village parades and enjoying the obligatory leisurely lunch—that is, until the brutal murder of an elderly Algerian immigrant instantly jolts Walker's novel from provincial cozy to timely whodunit. As a high-powered team of investigators, including a criminally attractive female inspector, invade sleepy St. Denis to forestall any anti-Arab violence, the amiable Bruno must begin regarding his neighbors—or should we say potential suspects—in a rather different light. 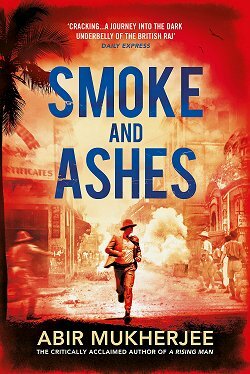 Without sacrificing a soupçon of the novel's small town charm or its characters' endearing quirkiness, Walker deftly drives his plot toward a dark place where old sins breed fresh heartbreak." Well now... have I tempted you at all? I know I've tempted myself because I stopped to go in and pull Bruno, Chief of Police off the shelf! Are there any other French gendarmes that you would recommend? Please share-- and don't forget to stop by next weekend when my tour of France will continue! Great overview, Cathy. I've read and enjoyed many of the Maigret stories. They are an acquired taste, but once I acquired it there was no stopping me. Absolutely love them. I'm also a fan of Martin Walker's Bruno, Chief of Police. Been meaning to read the next in the series, just haven't gotten around to it. It's up near the top of TBR pile, though. Oh my! Years ago I read every Simenon I could get my hands on. They got shorter and shorter, but I never read a bad one. 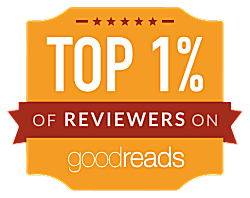 Joe-- With two recommendations by readers I trust, I know I have to visit Maigret!